Jun 20, 2018 - Are Share Buybacks Diluting the Spirit of Wealth Maximisation? Are Share Buybacks Diluting the Spirit of Wealth Maximisation? This may seem to be an oddity at the outset. Companies that throw up a lot of cash and do not have profitable avenues for deployment are better off returning it back to shareholders. Else the surplus cash just keeps piling up and reducing shareholder returns in the long run. Share buybacks and dividends are two optimal routes through which companies distribute the excess cash on the books to its shareholders. But an amendment in the Union Budget 2017, making dividend taxable in the hands of the distribution company, has tilted the scale in favour of buybacks. No wonder the number of share buybacks surged by 98% reaching a record high of Rs 552 billion in 2017. IT companies were at the forefront of share buybacks last year. The rapidly changing technological landscape in the past few years has left IT companies struggling with single-digit topline growth and with cash piling up on their books. Therefore, eleven IT companies including biggies such as Wipro, Infosys, and Tata Consultancy Services (TCS) announced share buybacks to the tune of Rs 453 billion last year. It's Completely Legal...and Extremely Lucrative! What if you could find out the best opportunities from the stocks that they are buying now? And what if you did not have to pay even a single rupee to them in fee? Yes, it is possible. And it's completely legal! Recently TCS announced a second buyback less than two months after its market capitalisation surpassed the US$ 100 billion mark. The IT behemoth would be buying back 2% of its shares at a 17% premium to the prevailing prices. There is no doubt that it will be one big party for shareholders who tender their shares in the buyback. But what about the continuing shareholders of the company? Tata Sons which holds a 72% stake in the company will take the lion's share of the Rs 160 billion share buyback. But the other shareholders will have to contend with only marginally better return ratios. Certainly not an equitable way of rewarding shareholders of a company. Warren Buffett has clearly outlined the conditions for stock repurchase by companies in his 2000 letter to shareholders. There is only one combination of facts that makes it advisable for a company to repurchase its shares: First, the company has available funds -- cash plus sensible borrowing capacity -- beyond the near-term needs of the business and, second, finds its stock selling in the market below its intrinsic value, conservatively calculated. As per Buffett, repurchases make sense for continuing shareholders only if the shares are bought at a price below the intrinsic value since the remaining shares experience an immediate gain in intrinsic value. TCS is presently trading at 27 times its trailing twelve month (TTM) earnings, higher than the stock's ten-year average PE multiple of 23 times. Moreover, the buyback price of Rs 2,100 per share is at a 17% premium over the prevailing price and is much higher than the stock's intrinsic value. Needless to say that the continuing shareholders are getting a raw deal. For continuing shareholders, the buyback price decides whether it will be value-enhancing or value destroying. So while buybacks are an optimal way of maximising wealth for shareholders, the price at which the buyback is done can make all the difference. 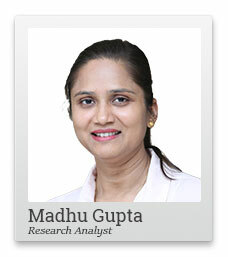 Madhu Gupta (Research Analyst), ValuePro has a post graduate degree in both physics and finance. Having worked with India's leading economic research agency, she has a natural flair for numbers and analytics. She brings with her a near-decade long rich experience in the field of finance. A firm believer of the principles of value investing, she looks for robust businesses with durable competitive advantages. Equitymaster requests your view! Post a comment on "Are Share Buybacks Diluting the Spirit of Wealth Maximisation?". Click here!